The characteristic look of Southern California, with its red-tiled roofs, stucco homes, and Spanish street names suggests an enduring fascination with the region’s Spanish-Mexican past. 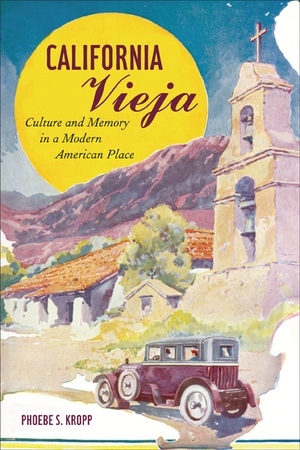 In this engaging study, Phoebe S. Kropp reveals that the origins of this aesthetic were not solely rooted in the Spanish colonial period, but arose in the early twentieth century, when Anglo residents recast the days of missions and ranchos as an idyllic golden age of pious padres, placid Indians, dashing caballeros and sultry senoritas. Four richly detailed case studies uncover the efforts of Anglo boosters and examine the responses of Mexican and Indian people in the construction of places that gave shape to this cultural memory: El Camino Real, a tourist highway following the old route of missionaries; San Diego’s world’s fair, the Panama-California Exposition; the architecturally- and racially-restricted suburban hamlet Rancho Santa Fe; and Olvera Street, an ersatz Mexican marketplace in the heart of Los Angeles. California Vieja is a compelling demonstration of how memory can be more than nostalgia. In Southern California, the Spanish past became a catalyst for the development of the region’s built environment and public culture, and a civic narrative that still serves to marginalize Mexican and Indian residents. Phoebe S. Kropp is Assistant Professor of History at the University of Pennsylvania.